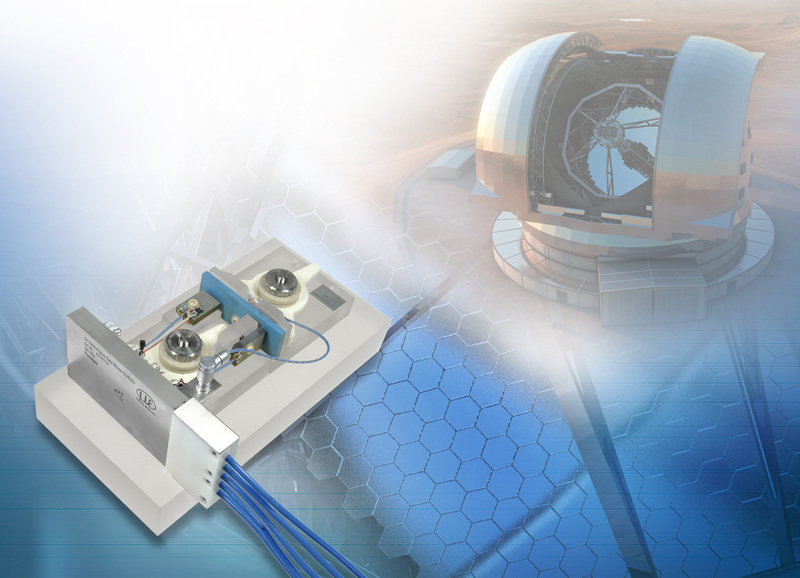 The European Southern Observatory (ESO) based in Garching, Germany, relies on high precision displacement measurement from Micro-Epsilon for a project to build the world’s largest mirror telescope in Chile which also involves the French cooperation partner Fogale. The inductive sensor systems used for displacement measurement are the most precise ever used in a telescope. They determine the position of each single mirror segment in three axes to nanometer accuracy. The construction of the largest, optical and near-infrared telescope in the world is progressing - completion is planned in 2024. The revolutionary European Extremely Large Telescope (E-ELT) is a project of the European Southern Observatory (ESO) on the Cerro Armazones mountain in Chile and will be second to none in size. This project involves several thousand high precision sensors has now been awarded to sensor specialist Micro-Epsilon in Germany. With more than 6,000 engineer-years of experience and 120 patents, Micro-Epsilon stands out due to its widespread knowledge in high precision sensor technology. The globally operating sensor manufacturer employs around 1,000 people in the Group, with almost 400 at its Lower Bavarian headquarters. The sensors for the giant telescope supplied by Micro-Epsilon play a crucial role in this research project. The telescope uses a unique, optical system with five mirrors and requires optical and mechanical elements that push modern technology to its limits. The diameter of the main mirror alone will be 39 meters - half the length of a soccer field. With a total surface area of 978 square meters, the mirror consists of 798 single segments, each 1.4 meters in size but only 5 centimeters thick. These honeycomb segments must be aligned precisely to each other in order to form a perfect optical system. Their relative position can change due to outside interference from wind loads, fluctuating temperatures and, last but not least, gravity which has different effects depending on the respective alignment of the E-ELT. The sensors provided by the FAMES consortium (Fogale and Micro-Epsilon), ensure exact positioning to nanometer accuracies. Micro-Epsilon is responsible for manufacture of the sensors, which are the most precise ever used in a telescope. Measuring the relative position to nanometer accuracies therefore represents the fundamental core of this complex system. Predestined for outdoor applications, the sensors stand out due to their long-term temperature stability, as well as their high resistance to external influences. The sensors used are based on the principle of inductive coupling and Micro-Epsilon’s widespread knowledge eddy current measurement technology. The sensors measure on a wear-free, non-contact basis providing the highest precision and resolution. A special advantage of the sensor is its immunity to external influences such as dirt, pressure and humidity. The sensor consists of a transmitter coil and an opposite located arrangement of several receiver coils on the adjacent mirror segment. The transmitter coil is supplied with alternating current. The voltage induced by inductive coupling in the receiver coils depends on the position of the transmitter coil. The patented evaluation of the partial signals enables the determination of the position of the segments relative to each other in three axes. The special coil is designed in accordance with Micro-Epsilon’s Embedded Coil Technology (ECT) eddy current sensors, which differs significantly from the wound coils found in conventional sensors. The coil itself is embedded in an inorganic carrier material. Their innovative design provides the sensors with an extremely high temperature rating and long-term stability, as well as excellent repeatability.